A coming-of-age novel about race, privilege, and the struggle to rise in America, written by a former Obama campaign staffer and propelled by an exuberant, unforgettable narrator. Boston, 1992. David Greenfeld is one of the few white kids at the Martin Luther King, Jr., Middle School. Everybody clowns him, girls ignore him, and his hippie parents won’t even buy him a pair of Nikes, let alone transfer him to a private school. Unless he tests into the city’s best public high school—which, if practice tests are any indication, isn’t likely—he’ll be friendless for the foreseeable future. Nobody’s more surprised than Dave when Marlon Wellings sticks up for him in the school cafeteria. Mar’s a loner from the public housing project on the corner of Dave’s own gentrifying block, and he confounds Dave’s assumptions about black culture: He’s nerdy and neurotic, a Celtics obsessive whose favorite player is the gawky, white Larry Bird. Before long, Mar’s coming over to Dave’s house every afternoon to watch vintage basketball tapes and plot their hustle to Harvard. But as Dave welcomes his new best friend into his world, he realizes how little he knows about Mar’s. Cracks gradually form in their relationship, and Dave starts to become aware of the breaks he’s been given—and that Mar has not. Infectiously funny about the highs and lows of adolescence, and sharply honest in the face of injustice, Sam Graham-Felsen’s debut is a wildly original take on the American dream. Sam Graham-Felsen was born and raised in Boston. He has worked as chief blogger for Barack Obama’s 2008 campaign, a journalist for The Nation, and a peanut vendor at Fenway Park. This is his first novel. 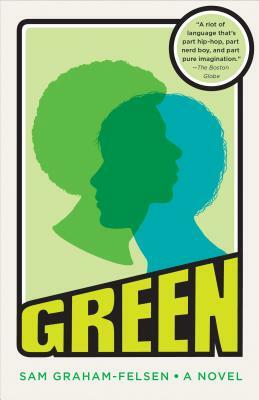 “Though it raises serious questions about race and inequality with a poignancy that took me aback, Green is also funny and beautifully written, with not a word out of place, and somehow managing to be both true to its young narrator’s voice and bracingly intelligent in its depiction of a brutal societal impasse. I enjoyed this more than anything else I’ve read in ages.”—Adelle Waldman, author of The Love Affairs of Nathaniel P.